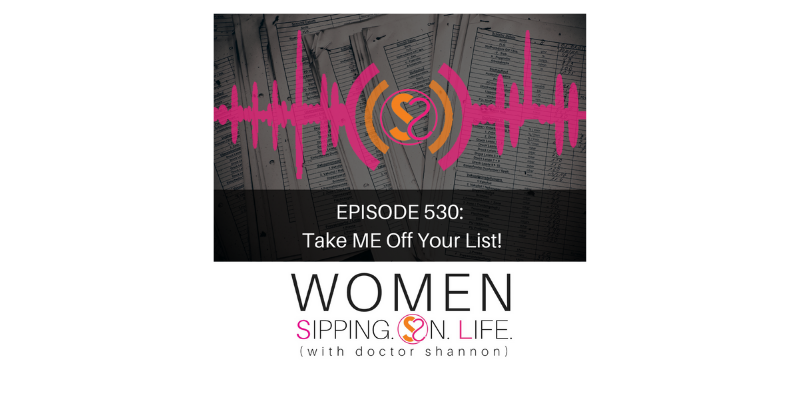 EPISODE 530: Take ME Off Your List! Identify which of these 7 lists you’re on, and begin to take yourself OFF the list, by recreating a NEW LIST. “Take ME off your list! !” This is what I told the woman this morning. It can be daunting and overwhelming!! Which of these 7 lists are you on? Yes, (LIST)EN to what your life is telling you. Listen to your heart, and write out a new (LIST)ENING? Are you willing to create a listening for the message your heart is speaking to you today? Are you willing to create a listening for the message of hope?